In an article yesterday on CBS, Pete Prisco opined on the most overrated and underrated players on every NFL team. Overrated: WR Anquan Boldin. He’s a good player, but not a great one. The Ravens will find out he isn’t a No. 1 receiver. He can’t beat corners deep. Underrated: G Marshal Yanda. On one of the best lines in the NFL, he had the best season in 2009. He is a mauler who keys the run game. It might be Pro Bowl time for him in 2010. Now, if you’ve been reading Prisco over the last couple months, you’ll know that he has been beating the “Boldin isn’t a #1” drum ad nauseum since the Ravens picked him up. His reasons have ranged from “Kurt Warner made him good,” to “Larry Fitzgerald drew all the double teams,” to now, “he can’t beat corners deep.” We get it, Pete. You don’t like Boldin as a number 1. But shouldn’t you at least, oh, I dunno, let the man PLAY A GAME in purple before declaring him overrated? You know what the Cardinals lacked that the Ravens have in spades? A RUNNING GAME. An ingredient that everyone universally agrees can help out a passing game. With Ray Rice in the backfield, that extra defender that opposing defenses have to keep in the box has basically the same effect as having to double Fitzgerald on the other side, no? I’m not saying that Prisco is dead wrong about Boldin – time may prove him correct. It just seems way premature to call Boldin overrated at this point. 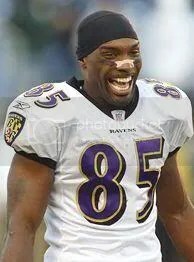 Especially when there are a few other Ravens who could be argued as “overrated” based on their actual performances in Charm City. Personally, were I to choose the most overrated Raven, I’d probably go with Terrell Suggs, based solely on last season’s performance, and with the full confidence that he’ll prove me wrong in 2010. As far as Yanda, it’s good to see a national guy giving Marshal some credit. I think, however, its a stretch to say he had the best season of anybody on the Ravens’ line. There were some games where all 3 of those inside guys (Yanda, Birk, and Grubbs) struggled mightily. When you consider that he had to play both tackle positions, and did so very well, Michael Oher probably had the “best” season of the Ravens’ offensive linemen in 2009. My choice for most underrated Raven? 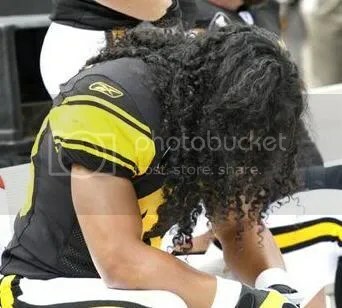 Overrated: S Troy Polamalu. Yes, he has been hurt. But that helps bring down his rating. Even when he has been on the field, he hasn’t been as good as his reputation. Oooooh, I love it. That glorified linebacker, bouncy little sprite Polamalu is, of course, extremely overrated. But who amongst us non towel-waving morons didn’t know that? 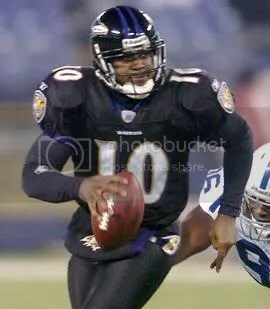 This entry was posted on May 28, 2010 at 11:13 am and is filed under Ravens. You can follow any responses to this entry through the RSS 2.0 feed. You can leave a response, or trackback from your own site. I haven’t commented on KSK lately. Seems to be a mutual cease-fire in effect. Im cool with that. I like my safeties to actually cover someone, unlike that sprite Polamalu.